Quickly fixture and set-up welding, fabrication, repair and modification jobs anywhere around the shop, or outside the shop, with the New Rhino Cart™ Mobile Fixturing Station: The Rhino Cart™ Package includes the table plus 66 piece Clamp and Component Fixturing Kit (adjustable positioning stops, hold-down clamps, pliers and locating components) that mates to the CNC machined 16 millimeter tabletop holes (50 times 50 millimeter spacing pattern) for accurate clamping or fixturing on the tabletop. 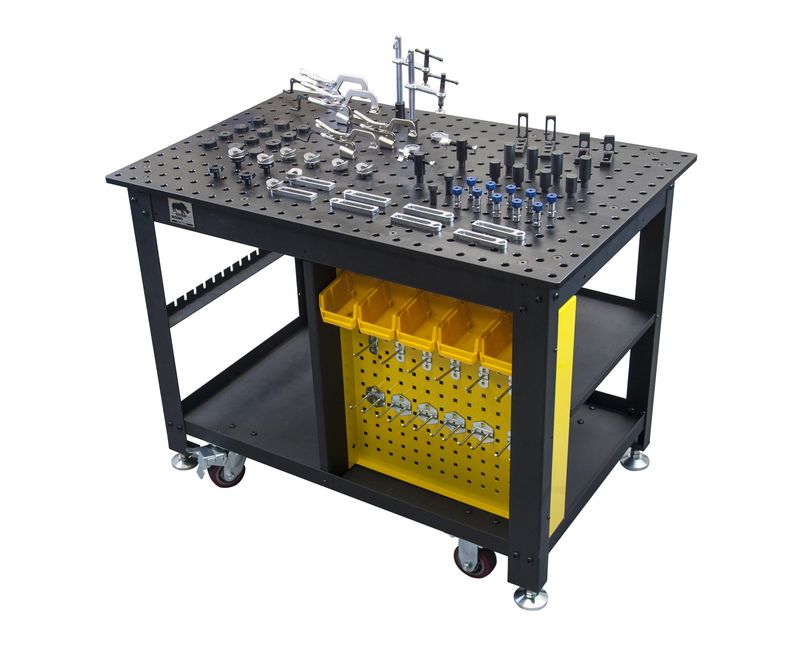 POSITION, CLAMP, & FIXTURE stock accurately for higher quality welds and faster production. 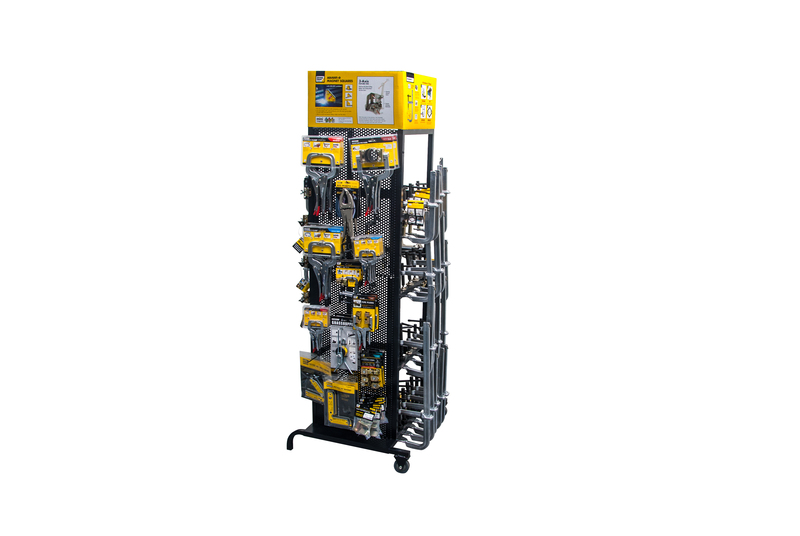 Strong Hand Tools® Welding Clamps, Magnets and Vises, and the Rhino Cart™ Modular Fixturing Station, will help you conquer everyday workholding challenges. Take on new, and complex projects by having the right equipment in your shop.